Head of King Vittorio Emanuele II right. Below the neck the name of the engraver and the date. Savoia coat of arms decorated with the Collare dell’Annunziata, both within a laurel wreath. 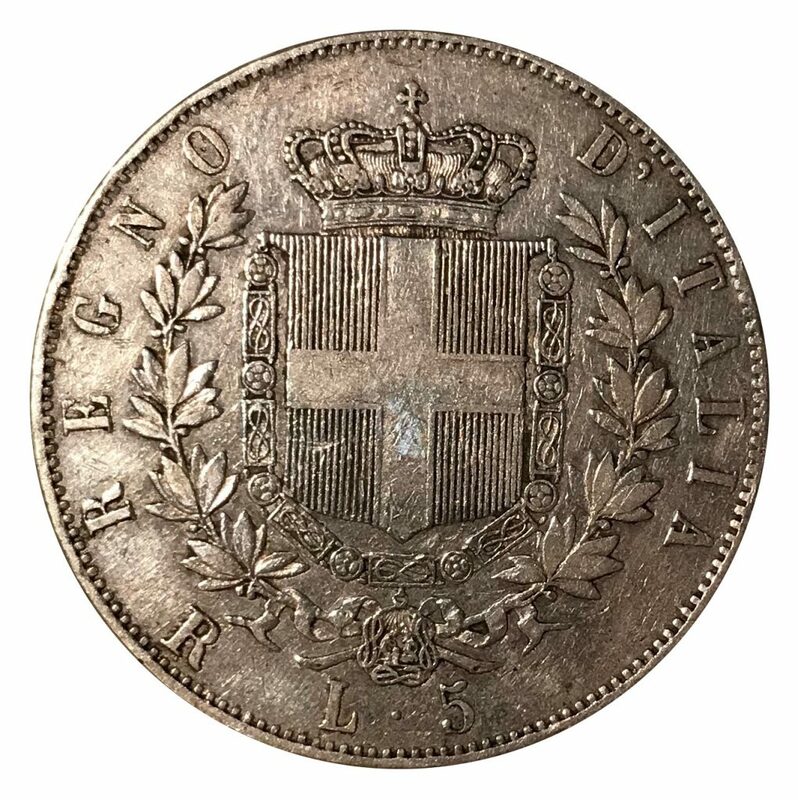 Below value of the coin and mintmark. 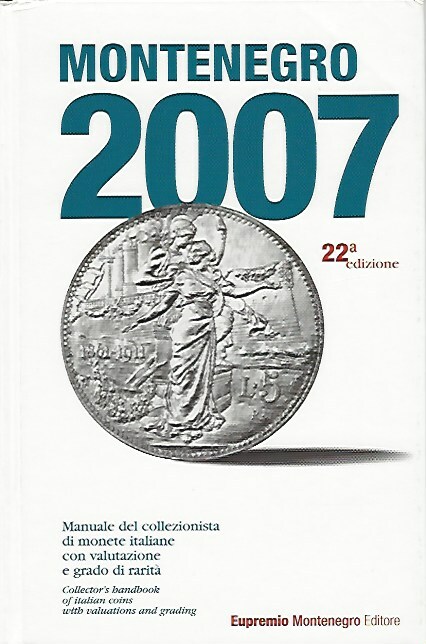 Collector’s handbook of Italian coins, with valuations and grading. This handbook includes valuation, number of minted and withdrawn coins from eighteenth century up to the present day.